Be the first to share your favorite memory, photo or story of Lendon. This memorial page is dedicated for family, friends and future generations to celebrate the life of their loved one. 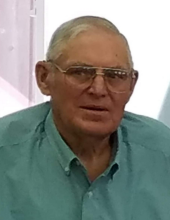 Lendon Reed, age 78 of Prestonsburg, Kentucky, passed away on Wednesday, November 28, 2018 at Highlands Regional Medical Center, Prestonsburg, Kentucky. He was born April 8, 1940 in Elsie, Kentucky to the late Greeley & Eulah Patton Reed. He was the husband of Flo Thornsberry Reed. He was a retired coal miner. Along with his wife he is survived by his Children: Jeff (Veva) Reed of Prestonsburg, Kentucky, Terry (Shelia) Reed of Salyersville, Kentucky & Lucreasie (John) Lewis of Prestonsburg, Kentucky; Brother & Sisters: Joe Reed of Plymouth, Ohio, Betty Slone of Wellington, Kentucky & Janice Lathrop of Linden, Michigan; Grandchildren: Kandra (Andy) Soard, Hannah (Ronnie) Newsome, Kaden Lewis & Madelein Lewis. Along with his parents he was preceded in death by his Brother & Sister: Randy Reed & Ginny Spencer. He will be missed by all that knew and loved him. "Email Address" would like to share the life celebration of Lendon Reed. Click on the "link" to go to share a favorite memory or leave a condolence message for the family.